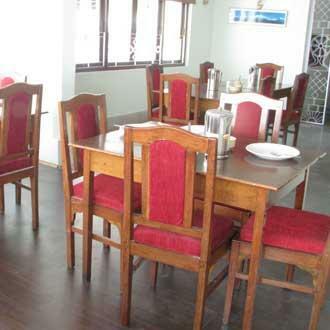 Hotel View Point is a budget property, situated away from hustle bustle of the city, in a lap of nature. Conveniently located in the heart of the city, the hotel is suitable for business as well as leisure travellers. The property provides facilities like laundry service, room service and travel as sistance. Baggage Storage on Request, Laundry Facilities, Family/Child Friendly, Currency Exchange, Restaurant, Security Guard, Breakfast Services, Airport Transportation, Travel Counter, Parking. Iron/Ironing Board, Bottled Water in Room, Wakeup Calls, Television Room, H/C Water, House Keeping, Room Heater, Air Conditioning Room, DVD Player, Moisturiser. User reviews for "View Point Hotel Gangtok"